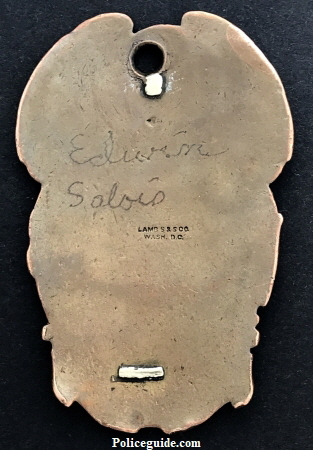 This badge which was in use circa 1910 was found by BIA officer Edwin Running Wolf Salois in 1970 while digging for night crawlers in his home town of Browning Montana. He added his BIA badge number 662 and carried the badge for many years. I asked Edwin for a overview of his law enforcement career and he sent me the following 4-11-2018. 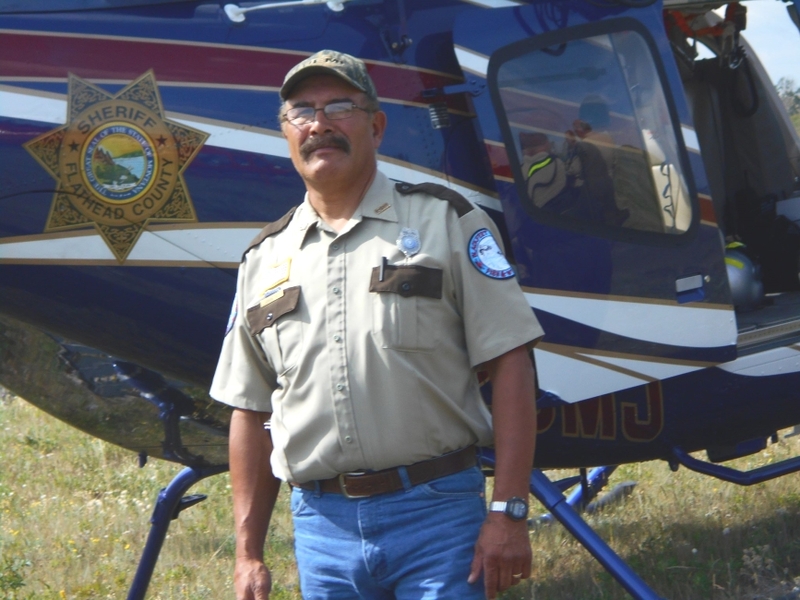 I Edwin Running Wolf , started working for the Blackfeet Tribe as a tribal police officer, went to Utah for my police training in 1976, worked, also for the Town Of Browning, Mt. 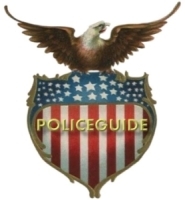 as a City police officer, Then the B.I.A. 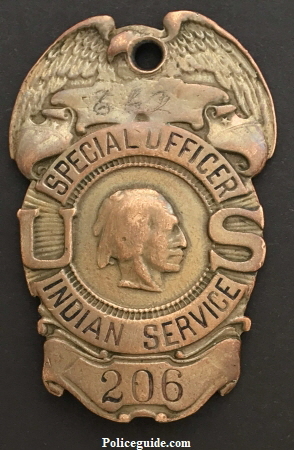 came on the Blackfeet Rez, I started working for that branch of law enforcement, as a lead officer, worked for them for years, then the Blackfeet Tribe took over the police, Then worked as a Sgt. for the Blackfeet police for years. 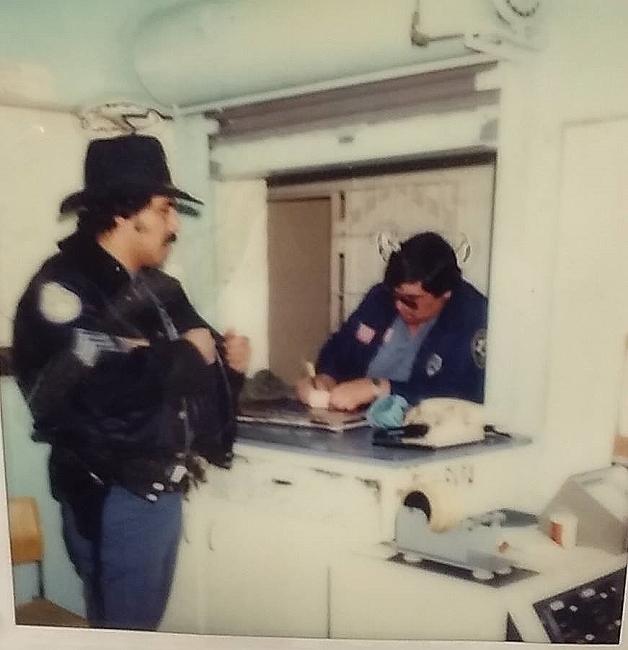 then switched to a criminal investigator, worked for that office for years, then I took a position To be a Director for the Blackfeet tribe for there security Dept., worked with that dept. for some years, then I switched to the Blackfeet Tribal Fish & Wildlife, worked tell 2016. and retired from the Blackfeet tribal system. 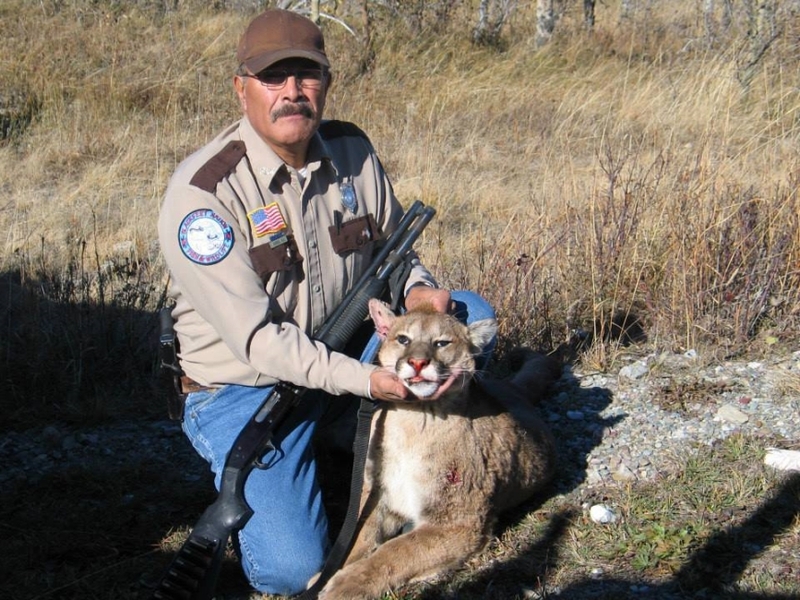 Pictured is Edwin Running Wolf while working as a Blackfeet Tribal Fish & Wildlife Officer.